High School Youth in Radio at KEUL! 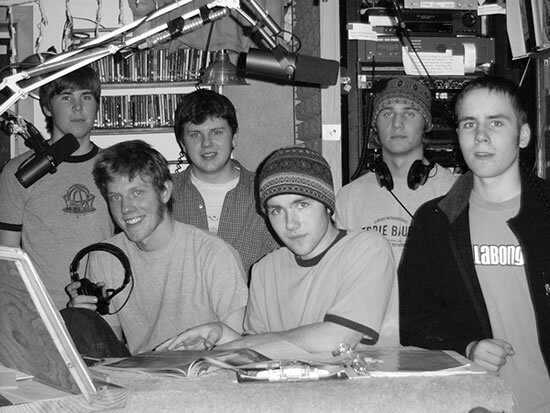 L to R: Cale Herschleb, Matt Jemin, Eric Carpenter, Dan Bonin, Andy Manos, Luke Matter. Not Pictured: Mary Wolverton and Sarah Evans. Family Radio at KEUL! 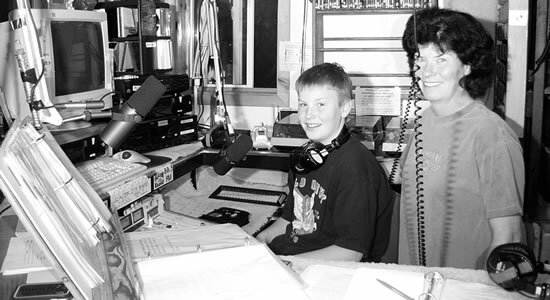 Eric and his mom Kathy Saugstad each produce and engineer their own hour of weekly radio programming. Eric is in 7th grade here in Girdwood.